Screens are small. Life is big. Technology isn’t a bad thing. It saves us time, allows us to keep in touch, and even simplifies our lives. But when studies tell us that the average smartphone user checks their phone every 4.3 waking minutes, or that the U.S. teen suicide rate has risen with the surge of social media, we have to wonder if we—and our kids—are using technology to our benefit. And we’ve learned that we aren’t the only ones who wonder; we hear daily from families who are overwhelmed by the challenge of knowing how to raise digitally healthy kids. At START, it is our passion to help parents navigate a changing tech landscape with a roadmap in hand. And it is our privilege to watch families flourish as they reconnect along the way. Our goal is to establish a new norm in Kansas City of families who stand together and rethink technology - developing tips, tools, and training for healthy tech use. Kids in 2018 have ten times the amount of screen time they did in 2011. Learn more about the impact of screens on developing minds. The technology that promises to keep families connected oftentimes leaves them feeling utterly alone. Take a peek at trends surfacing in research on human connection. 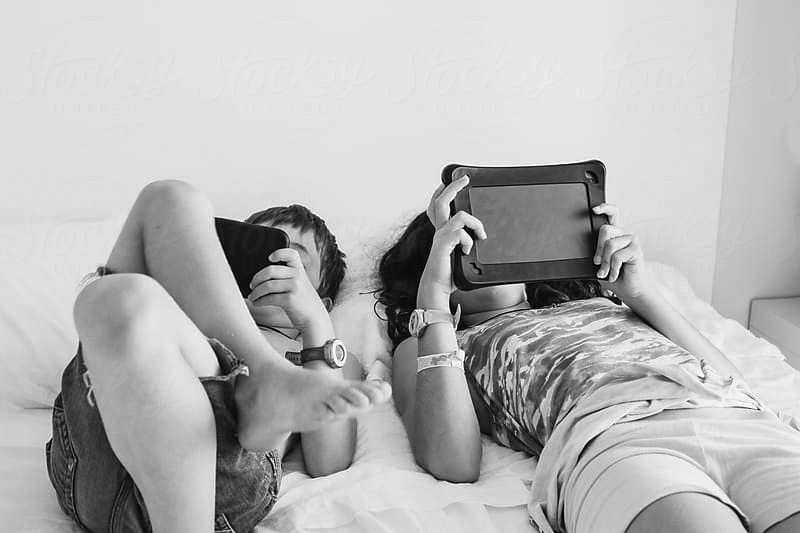 Surveys show that the number one battleground for families is technology. Our three part series is designed to help parents—and kids—win. Students, business, and community leaders alike are asking the question: Where do we start? Our answer is simple. Together. Future-ready students know how to self-regulate their tech use. We help parents and schools work together toward that end. Be part of the conversation on our Blog and on Facebook. START + Kindcraft = Device Free Dessert!